15169 Finished in a gleaming silvery finish, this dramatic jewelry holder garners as much attention as the jewels you drape on it! 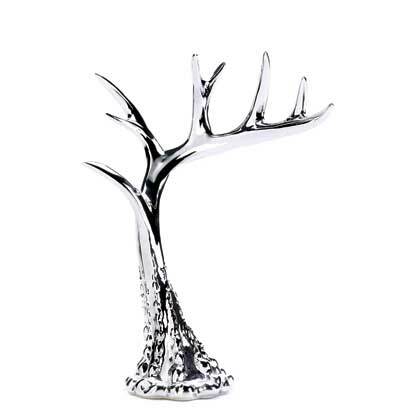 This striking and contemporary stand has multiple prongs that await your necklaces, bracelets, rings and earrings. Velvet Lining at bottom. Weight 1.1 lbs. 10" x 3½" x 11¾" high. 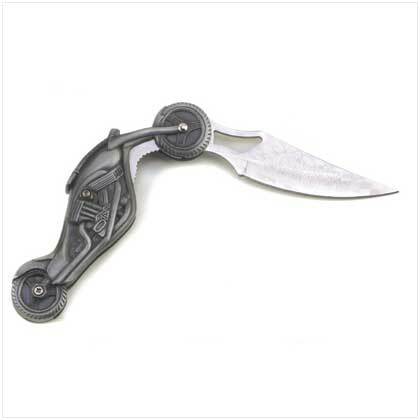 12865 Motorcycle fans, this knife’s for you! Bold styling features sleek “chopper” figural handle and a gleaming blade etched with a racetrack design for a look no bona-fide biker can resist. 13067 Triple-duty personal groomer puts an entire barber shop right in the palm of your hand, with full-size shaver, ear/nose trimmer, and mustache/sideburn groomer. 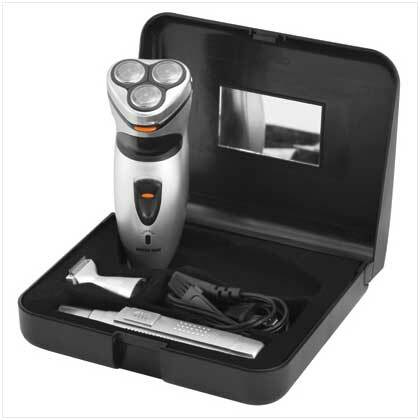 The shaver can be used up to 7 days after a complete charge (depending on the usage). Perfect for the occasional girls night out, it's the Betty Boop Las Vegas 7 oz. Stainless Steel Flask! 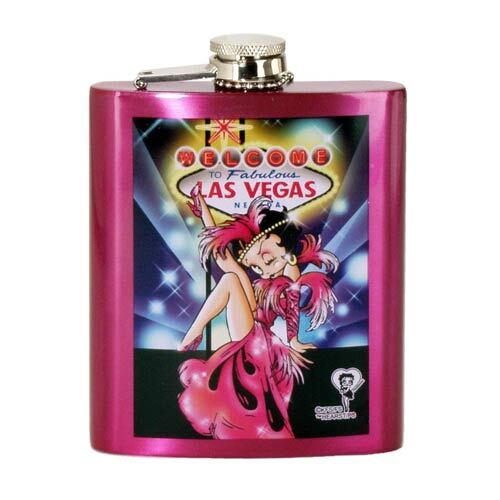 This pink flask features a glamorous looking Betty Boop dancing in a flapper dress with a Las Vegas, neon lights backdrop. 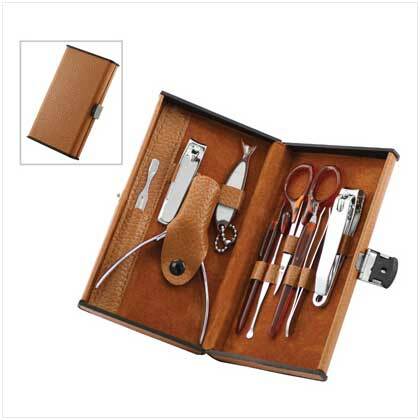 The metal top with chain adds to the flask's convenience, as does the stainless steel funnel included for easy filling! 3¾" x 1" x 4?" high; holds 7 oz. Take your style to a new level with this rich tote bag. The oversize design is highlighted by the geometric gold stud detail running down the front of the bag. 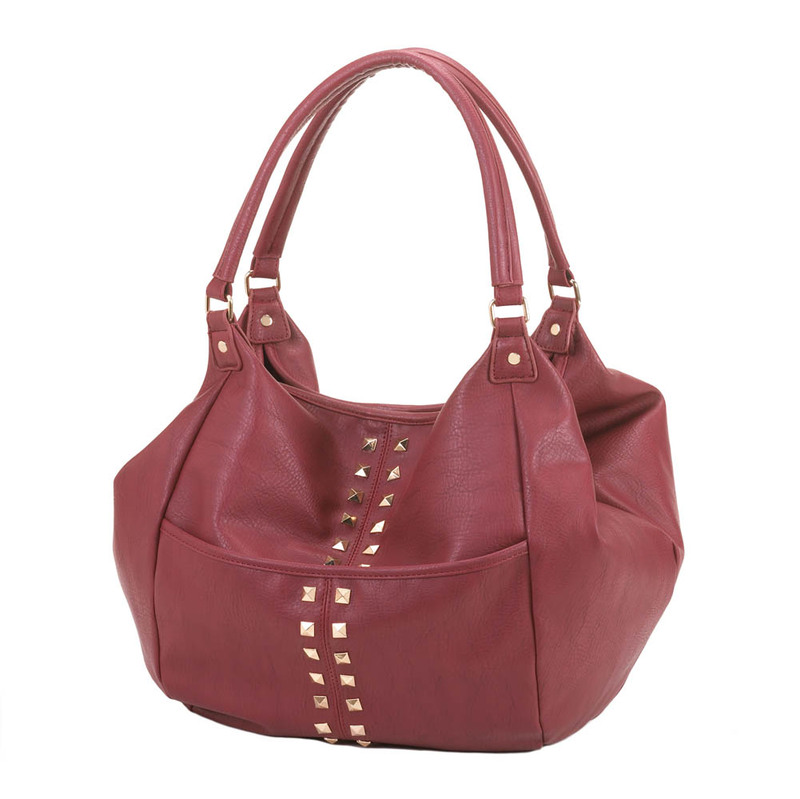 The alluring merlot hue makes it a great accent to any outfit. Outer pocket. Magnetic closure. Item weight: 1.6 lbs. 22" x 6" x 14½" high; 20½" high with handle.